All those materials add up to an enormous amount of weight. So how much does a house weigh? A 2,000-square-foot home would weigh about 410,000 pounds (185,972 kg) with household contents. This is based on research for a typical one-story home with a concrete foundation. It weighs approximately 200 pounds (90 kg) per square foot. Have a 2-story home? That number rises to 275 pounds (124 kg) per square foot. A 3-story home comes out to 350 pounds (158 kg) per square foot. How Much Does A Tiny House Weigh? 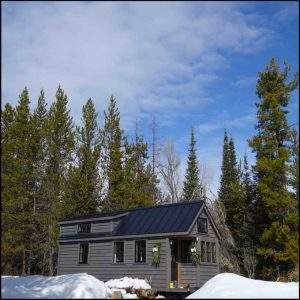 The tiny house movement was set up for people who wanted to live a simpler life in a smaller home. 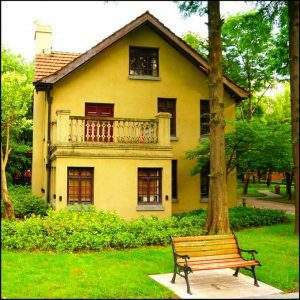 Any domestic dwelling that is less than 500 square feet is considered a tiny home. Most weights for tiny homes are around 8,000 to 12,000 pounds (3,628 to 5,443 kg). But you would also need to add in the weight of household contents. In many cases, that will be an added 2,000 to 3,000 pounds (907 to 1,360 kg). Weights for mobile homes will vary depending on the age of the home. Those built before 1980 tend to weigh less than those built more recently. 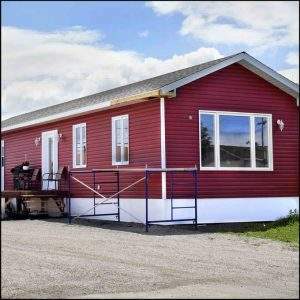 The weight for a typical 16×80 mobile home that was built after 1980 would be around 64,000 pounds (29,029 kg). This figure is based on an average weight of 50 pounds (22 kg) per square foot. It does not include the weight of contents inside the home. When an earthquake strikes, falling houses can cause serious damage and put lives at risk. But the Japanese inventor, Shoichi Sakamoto, has come up with an invention that reduces the issue. His new system involves placing a house on an inflatable bag. It’s triggered when an earthquake is detected by his system’s sensors. An air compressor pushes air into the inflatable bag and the house levitates above the ground. Once the danger has passed, the house returns safely to its original position!